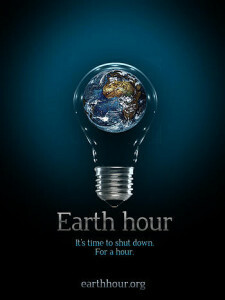 Between 8.30 and 9.30pm on Saturday 19th March millions of people across the globe will be celebrating Earth Hour. It’s the opposite of the ‘Turning on the Lights” events one gets at Christmas, as this is about turning OFF nonessential lights for an hour as a way of raising awareness of climate change. Organised by the WWF, the event started in Sydney, Australia in 2007 when WWF Australia inspired 2.20 million individuals and 2,000 businesses to turn off their lights for an hour. Since then, it has grown to engage more that 7,000 cities and towns worldwide and involving hundreds of millions of people! It’s normally held towards the end of March around the time of the Spring & Autumn equinoxes in the northern & southern hemispheres because this allows for almost coincidental sunset times in both hemispheres and so the visual impact of the ‘global lights out’ is at its greatest. Earth Hour is not about energy or carbon reduction per se – it is a symbolic action – to encourage individuals, businesses and governments around the world to take accountability for their ecological footprint and engage in dialogue and real actions that provide real solutions to our environmental challenges. So although we can all participate as individuals in Earth Hour we can also follow the call to action in Earth Hour Blue and commit to change beyond the hour. 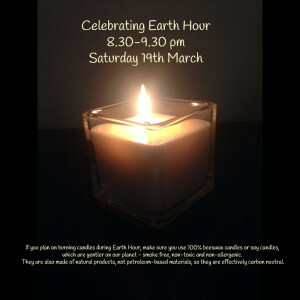 To learn more see the Earth Hour site….. and here for the Event Guide which includes ideas for actions beyond the hour…. Oh finally, if you are planning to burn candles during Earth Hour, make sure you use 100% beeswax candles or soy candles! And no, I’m not just saying that as the maker of soy wax candles! 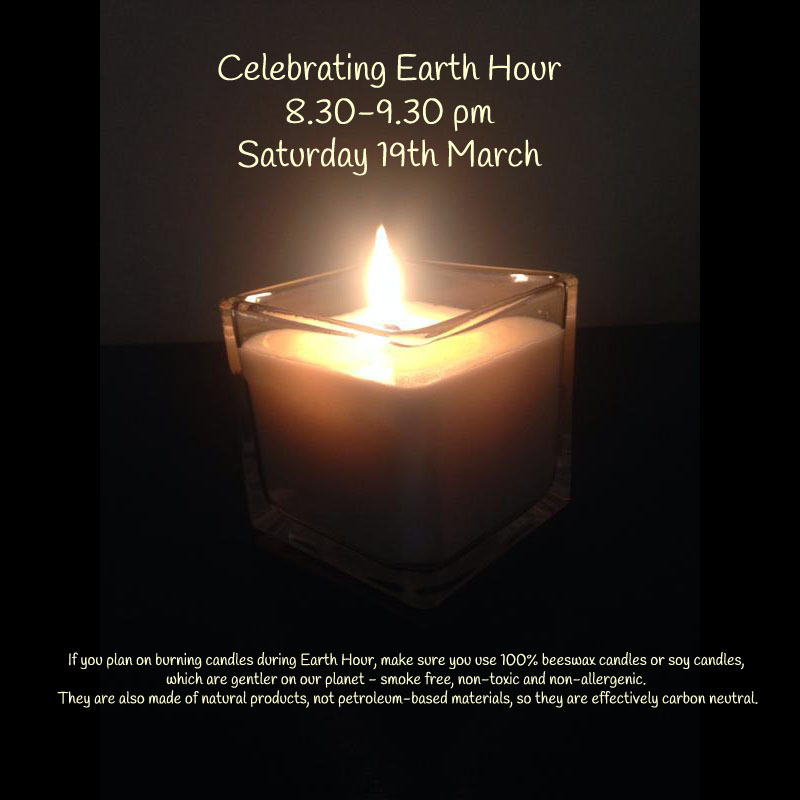 Earth Hour themselves recommend them because they are gentler on our planet – smoke free, non-toxic and non-allergenic – and because they are made of natural products, not petroleum-based materials, so they are effectively carbon neutral. Have fun on Saturday…..now…..which of my scents shall I choose to burn?! This entry was posted in Everything, Things we believe in and tagged beeswax candles, call to action, celebrating earth hour, climate change, earth hour, environmental issues, march 19th, saving the planet, soy wax candles, wwf. Bookmark the permalink.